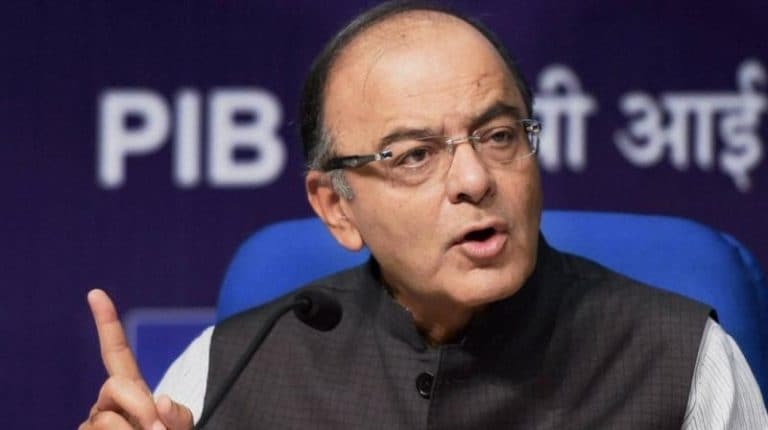 Union finance minister Arun Jaitley on Friday announced 5 important measures to control country's current account deficit (CAD) that ranges from boosting foreign portfolio investor participation in the corporate bond market to easing rules on external commercial borrowings. For the issue of expanding CAD, the government will take necessary steps to cut down non-essential imports and increase exports. Removal of restrictions on Indian banks' market making in masala bonds, including restrictions on underwriting of such bonds. Hedging conditions for infrastructure loans will be reviewed. Commercial borrowings up to $50 million with a minimum maturity of one year will be permitted. Exposure limits of 20 percent of Foreign Portfolio Investor's corporate bond portfolio to a single corporate group will be removed and and 50 percent of any issue of corporate bonds will be reviewed. An exemption for masala bonds issued in 2018-19 from withholding tax (which will encourage more people to buy them) and removal of the restriction on Indian banks on market making or such bonds including underwriting them (which, again, will encourage more such bond issues).